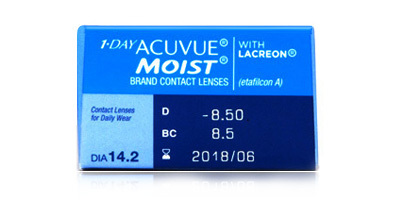 Manufactured by the famous household brand Johnson & Johnson, 1 Day Acuvue Moist lenses are daily disposables that combine quality and convenience with comfort. 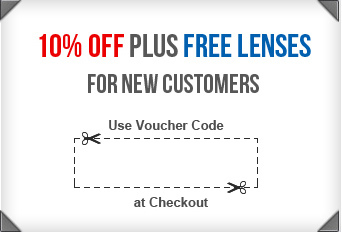 Due to being a daily disposable lens they offer an alternative from wearing glasses without the burdensome care cycle demanded by monthly contact lenses. 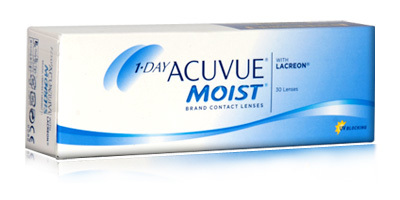 1 Day Acuvue Moist contact lenses supply enhanced Class II UV protection. They block up to 82% of AV-A and 97% of harmful UV-B radiation. These are high quality, durable daily disposables which are easy to insert and stay in position on the eyes until the moment you remove them. 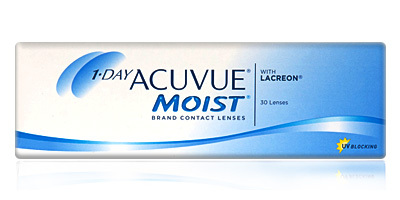 Johnson & Johnson 1 Day Acuvue Moist lenses have a slight visibility tint when solution is applied and also have a 1-2-3 inside-out mark, which improves visibility and makes them easier to handle than conventional contact lenses..
Place an order for 1 Day Acuvue Moist lenses with us and get fast delivery to your doorstep. 98% of orders are usually dispatched on the same day as placement.